Ultimate Kojak is a symbolic software model checker implemented in the Ultimate framework. It follows the CEGAR approach and uses Craig interpolants to refine an overapproximation of the program until it can either prove safety or has found a real counterexample. 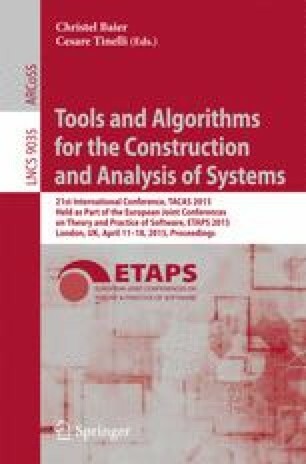 This year’s version features a new refinement algorithm, a precise treatment of heap memory, which allows us to deal with pointer aliasing and to participate in the memsafety category, and an improved interpolants generator.